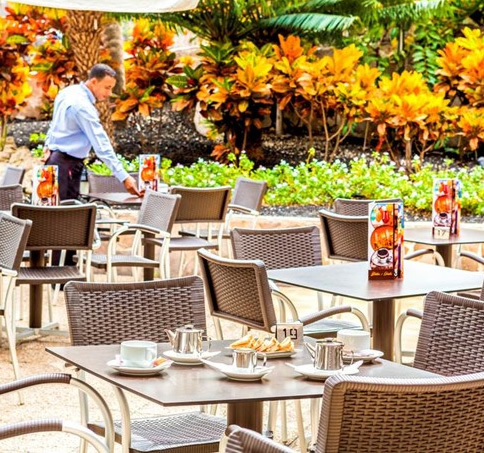 The modern 4 star hotel GF Fanabe is set 350 meters away from the sandy beach of Fanabe in Costa Adeje, Tenerife. The hotel is located in a quiet area of Playa de Fanabe but is within easy reach of the nearby nightlife as well as fine restaurants, chic boutiques and buzzing bars. The pulsating nightlife of Playa de las Americas is around one and half miles away. The hotel has recently been refurbished and offers a high standard of facilities and services. 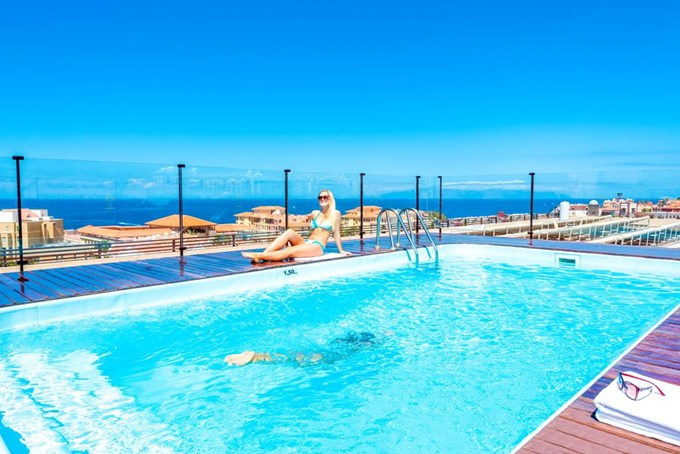 The Hotel Fanabe Costa Sur represents excellent value for money and remains a firm favourite with our clients in this part of Tenerife. Guest rooms are well appointed spacious and comfortable; they are tastefully decorated in warm tones and wood. All rooms are fully equipped with full bathroom, hairdryer, satellite TV, music channels, direct dial telephone, mini bar (on request local charge), in room safe (local charge). All rooms enjoy a private furnished balcony/terrace offering views sea, mountain or pool area. The hotel features specially adapted rooms for disabled guests and family rooms with an extra sofa bed and interconnecting rooms. 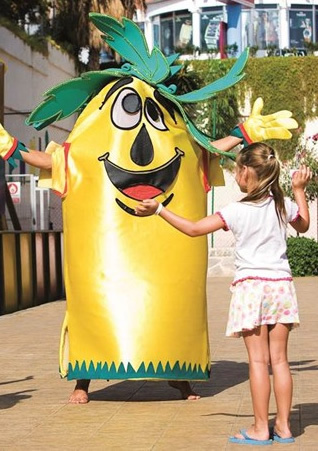 The GF Fanabe Tenerife has a buffet style restaurant giving guests a wide choice of cuisine including Italian and Canarian dishes, there is show cooking and themed suppers twice a week and the restaurant also provides special menus for vegetarians and children. For light snacks and meals, you have the pool bar where the atmosphere is more informal and where you can also refresh yourself with a cool drink or two. The lounge bar is the place for an evening cocktail and the venue for the evening shows and entertainment. 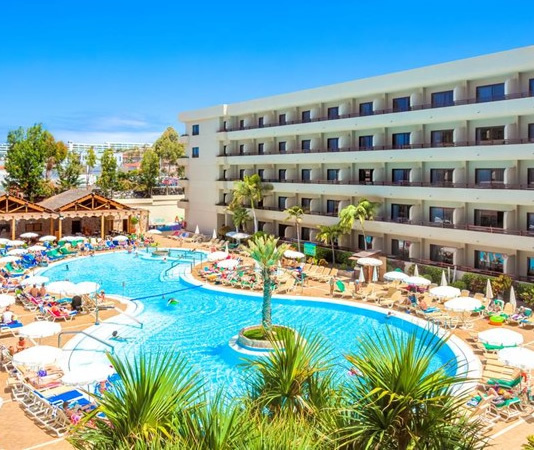 Leisure facilities in the Hotel include a large fresh water figure of eight shape swimming (heated in the winter), with separate area for children, around the pool there is a large sun terrace with sun loungers, parasols and towel service. On the top floor, there is an extensive solarium with a swimming pool with a separate, discreet area with a second swimming pool for the exclusive us of naturists. The hotel operates a day time and evening entertainment programme, for the active guests there is a Gym/fitness centre, tennis court, volleyball, basketball, indoor football, mini golf and French bowls. If relaxation is more your thing the hotel has a Wellness area with Jacuzzi, sauna, Turkish bath, and a cold plunge pool. The hotel offers a 24 hours reception, lobby with unisex hairdresser, mini market, cyber cafe with 4 computers with webcam, playground area, and a conference room. Free WIFI is available throughout the hotel, Wellness Center with SPA (with charge) and a Fish SPA (with charge).